The owner of U Save Coupon Book knew he needed to get on the digital band wagon. He wanted a way for readers to access his coupon books online and thus providing a bigger market of customers to his clients. Not only did he want to have his coupon books online, he also wanted to have an animated flip book which was mobile and a way for readers to print individual coupons without printing the entire page. I got the owners offline coupon book, online. Apart from just adding an online version of his coupon book to the website I also made the site the central place where the owner directs potential clients for more info. 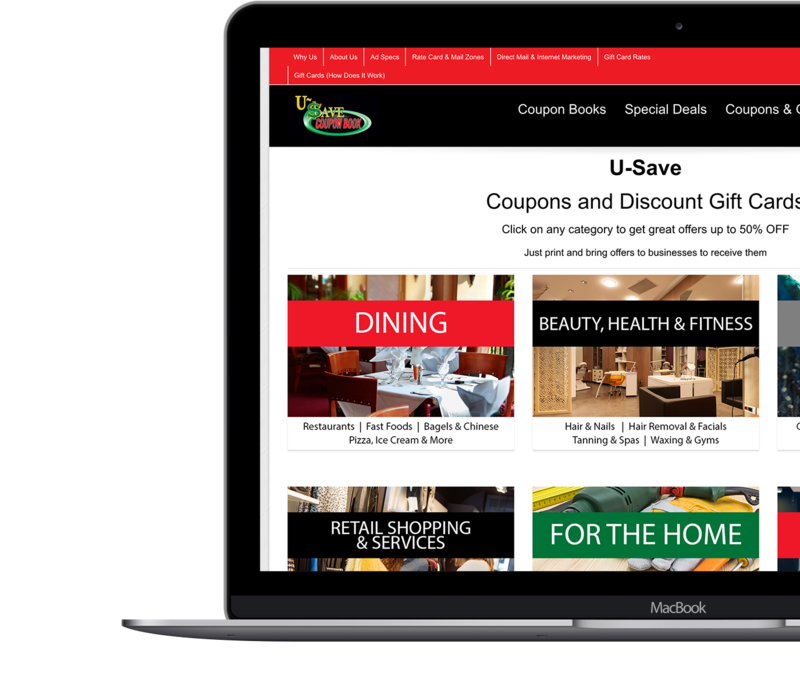 The online coupon book is mobile and readers can select individual coupons to print thus saving them ink. I also was able to include links in the online coupon book allowing readers to go to client’s websites. I wanted to begin to build a strong online presence. I knew it was time. Everyone is moving to online especially advertisers which is my business. I wanted an interactive FLIP BOOK, just like the PHYSICAL one I mail out. Boy did he deliver! I work with Brian on a one to one basis, improving and updating the website. He is always very responsive and usually responds with 24 hours of an email or text message. I highly recommend him to anyone in need of not just a new website, but getting your online presence together, that is what he specializes in.